Soft touch cover notebook with built-in elastic closure, ribbon page marker, document pocket on interior back cover and 80 sheets (80gsm) of lined paper. Thermo PU. This beautiful wood-look notebook for is ideal for debossing your customer's personal message or logo. Features 80 sheets (80gsm) lined cream paper, colour matching elastic band, ribbon marker, pen loop and interior paper pocket at the back. Packed in a black gift box. Thermo PU. This exclusive design 2-in-1 notebook (A5 size reference) is a neat solution for keeping two different projects on-the-go. Two different coloured covers identify the separate parts of the notebook. Simply flip it over to switch your line of thinking. 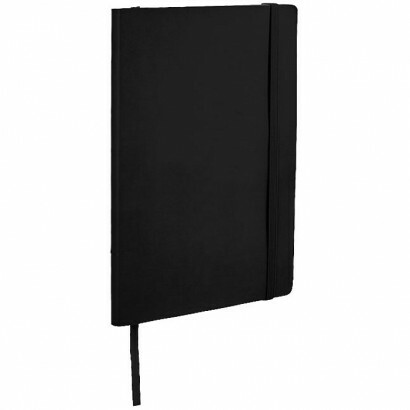 Features 2x 64 lined pages (80gsm), packed in a Journalbooks gift sleeve. Imitation leather. 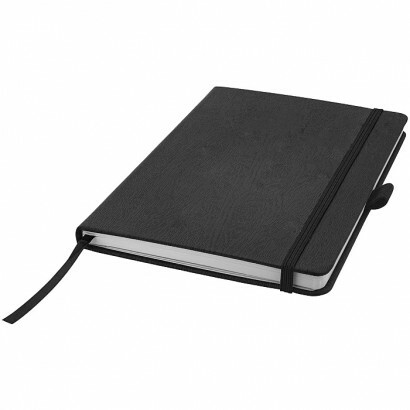 A coloured spine and elastic closure add a touch of character to this classic exclusive design black hardcover notebook (A5 size), while helping distinguish it from others. Practical convenience comes from an elasticated pen loop on the spine. Features 80 sheets (80 gsm) of lined paper. Packed in a Journalbooks gift box sleeve. Cardboard. Without pen. Soft and flexible in a choice of colours (A5 size reference) exclusive design notebook, just the job for jotting down notes on-the-go. Features 80 sheets (80gsm) lined paper. Packed in a Journalbooks gift box sleeve. Leatherette paper. 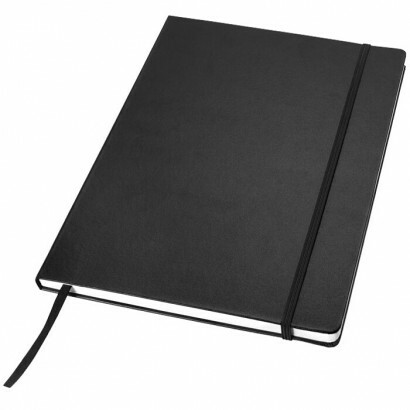 This exclusive design classic hard cover notebook (A4 size reference) with elastic closure and 80 sheets (80gsm) of lined paper is ideal for writing and sharing notes. 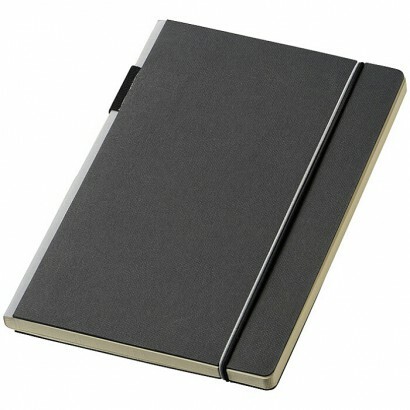 Features an expandable pocket at the back to keep small notes. Incl. Journalbooks gift box sleeve. Cardboard covered with leatherette paper. 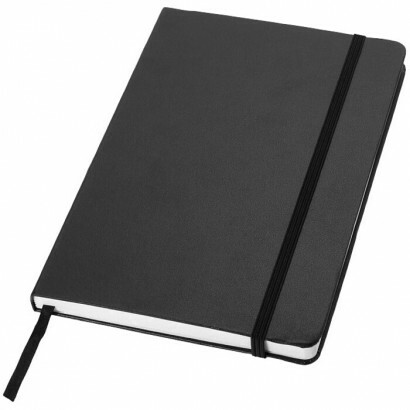 This excluisve design classic hard cover notebook (A5 size reference) with elastic closure and 80 sheets (80gsm) of lined paper is ideal for writing and sharing notes. Features an expandable pocket at the back to keep small notes. Incl. Journalbooks gift box sleeve. Cardboard covered with leatherette paper. Classic pocket notebook. This exclusive design classic hard cover notebook (A6 size reference) with elastic closure and 80 sheets (80gsm) of lined paper is ideal for writing and sharing notes. Features an expandable pocket at the back to keep small notes. Incl. Journalbooks gift box sleeve. Cardboard covered with leatherette paper. Notebook with crease in the back cover to enable easy page turning. 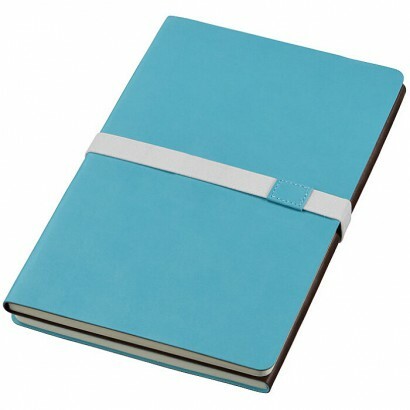 Includes elastic closure, ribbon page marker and 80 sheets (80gsm) of lined paper. Patent pending. Cardboard. 280. 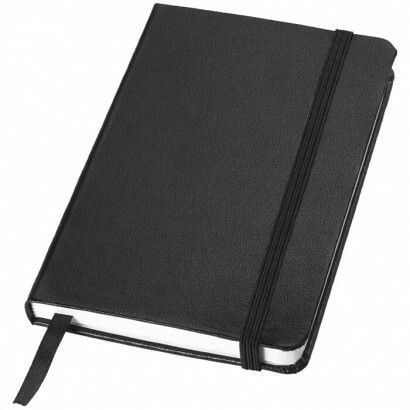 This smartly designed notebook (A5 size) offers a distinctively different decoration opportunity thanks to a sturdy, spine-connected elastic band with a dedicated decoration area. 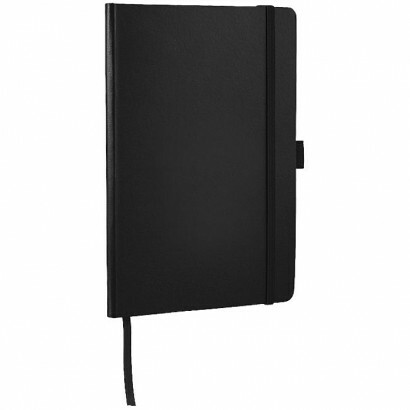 Features 96 lined sheets (80 gsm), packed in a Journalbooks gift sleeve. Thermo PU. This smartly designed notebook (A6 size) offers a distinctively different decoration opportunity thanks to a sturdy, spine-connected elastic band with a dedicated decoration area. 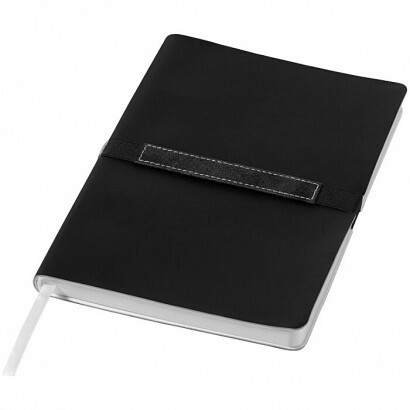 Features 96 lined sheets (80 gsm), packed in a Journalbooks gift sleeve. Thermo PU.